ItB: What gave you the idea for The Hopper Hill Family? Erika Castiglione: I have three children ranging from eight to twelve years old. Most of their lives, we have lived far from extended family (Including 4 years overseas). I have wondered from time to time what life would be like for them if something happened to my husband and me, but I didn’t plan on writing a story about blending families. Earlier this year, I started a novel for adults that just wasn’t working. A friend read some of what I had started and commented that the voice of the teenager in the story was the strongest and most compelling. I nixed the novel and started over with Piper and her desire for siblings. The rest of the story took shape from there. ItB: Are you planning on writing more books with these characters, in this setting? Or is this a stand-alone? EC: I started working on a sequel to this story last week when my children went back to school. I have been scribbling down notes in my journal all summer when a scene, conversation, or question would come to me, and I look forward to getting back to the characters I’ve grown to love. I didn’t necessarily intend for The Hopper-Hill Family to be the first in a series when I wrote it, but I’m not ready to say good-bye to their family yet. ItB: So, what gets your creative juices flowing? Describe your writing process to us. EC: I try to write in two hour blocks, five times a week. I always begin with journaling my thoughts and prayers before I move on to the book. I normally work better away from home, at my local library or in a coffee shop. Often, I will think of one more sentence or something I want to change on the drive home from wherever I am writing and I’ll finish up at the kitchen table. 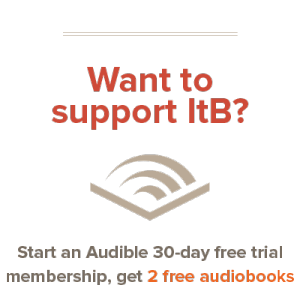 ItB: Why did you choose self-publishing? What are some of the best parts of self-pub? Some of the worst? EC: I spent a lot of time researching the pros and cons of both traditional publishing and self-publishing. In the end, I went with self-publishing so that I could go ahead and get the book out, as opposed to the long wait involved in querying agents and publishers. The best part of self-publishing is getting the book into the hands of readers sooner. However, it is a lot of work! Thankfully, I had help with editing, copy-editing, and design. The biggest con is that it is harder to get self-published books into bookstores and to promote on a larger scale. Thanks for your time, Erika — we appreciate it! Again, Erika has just published her novel The Hopper Hill Family. Be sure to read our review, and you can find the book at Amazon. If you’re interested in learning more, you can find her website here. Thanks for reading!